Bart van Arem was appointed full professor Transport Modelling at Delft University of Technology in 2009. He was head of the department Transport & Planning from 2010 till 2017. 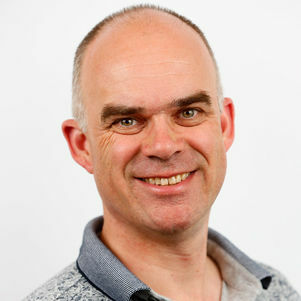 Since 2011 he has served as director of the TU Delft Transport Institute. From 2003-2012 he was part-time full professor at the University of Twente. From 1991-2009, he worked at TNO. Bart van Arem has an MSc (1986) and PhD (1990) degree in Applied Mathematics at the University of Twente, the Netherlands. Will intelligent vehicles help solve congestion problems? High expectations rest on intelligent vehicles, yet the answer to this question is far from trivial. My research focuses on analysing and modelling the implications of intelligent vehicles. Such implications vary from human factors to traffic flow on roads and networks. The research has a strong modelling and simulation component based on empirics wherever possible using our instrument vehicles and driving simulator. I teach the course MSc CIE 5805 Intelligent Vehicles for Safe and Efficient Traffic: Design and Assessment. The course is aimed at theoretical and practical understanding of the interaction between intelligent systems and services, driving behavior and traffic flow characteristics. Students work in group and learn how to develop a design of intelligent systems in vehicles, including the technological components and control modules and assess the impacts in terms of behavioral adaptation, traffic safety and efficiency. 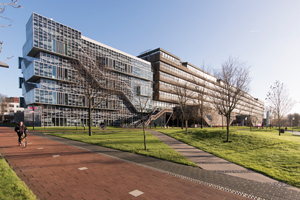 I developed the “Transport week” as part of the course BSc CTB1120 Introduction to Civil Engineering, which introduces the basics of Transport planning and in which students study try to solve a major transport problem in the Delft region. I teach a module on Intelligent Transport Systems in the course CIE4760 Assessment of Transport Systems and Infrastructures. I chair around 10 MSc final thesis committees a year, with subjects in cooperative and intelligent driving as well as transport planning and modelling. Milakis, D., Snelder, M., Van Arem, B., Van Wee, B., De Almeida Correia, G.H. - Development and transport implications of automated vehicles in the Netherlands: Scenarios for 2030 and 2050 - (2017) European Journal of Transport and Infrastructure Research, 17 (1), pp. 63-85.